Today the video for the recent DUB BMX/Monster Street jam was uploaded. The jam was held in Frankfurt and the amount of German talent on show was unreal! Obviously the DUB/Monster teams were out in force too, displaying some great tech ability from the likes of Benny L and Lacey and Bruno Hoffman. Seriously though, if you’ve got nothing to do for the next 5-6 mins.. Put a brew on, sit back and enjoy this one! It’s a few days old now but that doesn’t make it not worthy of a watch. If you haven’t seen it already the DUB lads held their anual DUB Jam at Rampworx Skatepark the other week and this is what they clocked on the old footager. There’s some seriously heavy moves from the likes of Scott Ditchburn, Ben Lewis, Josh Roberts and plenty more people, a few cameos and of course a bit of dubstep to keep it flowing. 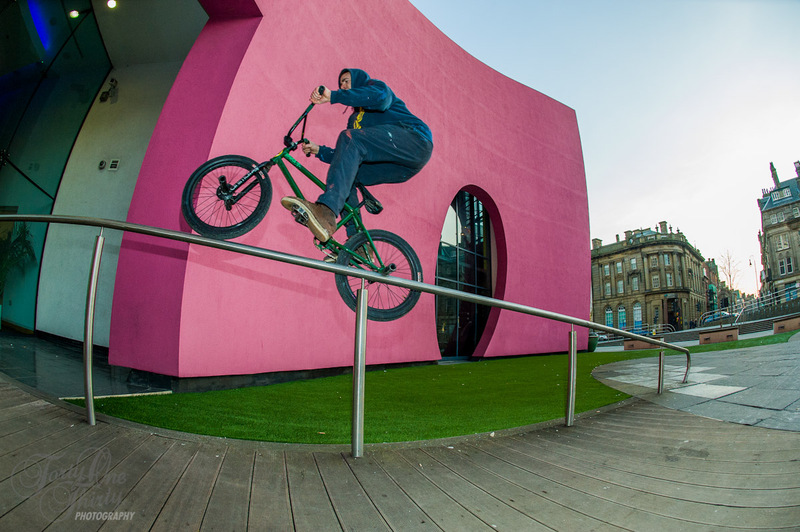 You hear it right, DUBBMX are having their first jam of the year at Rampworx in Liverpool. The guys at Rampworx have been working hard putting in a new section for the jam, it looks dope and the DUB guys have been testing it out to make sure she runs smooth. Check out the video below featuring Benny L, Josh Roberts, Sam Jones, Pete Sawyer and the builder Tony Watkinson. DUB’s world wide team are expanding all the time, welcoming the new guy into the family Seamus McKeon. Loads of style and freecoaster action from young Seamus, can’t wait to see more of this guy! It’s that time again, you can bag yourself a Joe-Tek DUB mid pivotal seat and a bunch of stickers for absolutely nothing. All you have to do is answer this really simple question over on the message board. Signing up for the message board only takes two minutes, just make sure you check your email for a verification message, click the link, log in, answer the question and boom, you’re in with a chance!! If you don’t see a verification email straight away then check your SPAM folder for it, it could well be in there.